Would you like to give your property a little bit of extra class? Steve and his team are well known for the professional knowledge and quality craftsmanship they exert into each landscape gardening project. Steven Maitland founded Mates Rates Landscaping and Garden Services in early 2011 with the premise of providing quality garden services to his clients in a friendly and affordable manner. 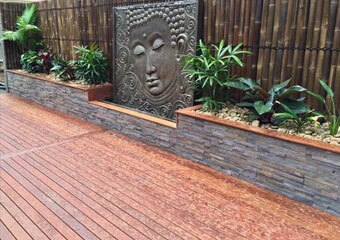 Mates Rates Landscaping and garden services provide highly innovative and creative landscape designs for residential and commercial properties. We build decks of the highest quality and in all shapes and sizes; pool decking, alfresco decking, porticos, decked roofing and stairs. Everyone loves a green lush lawn but the reality is not everyone has time to care for it. 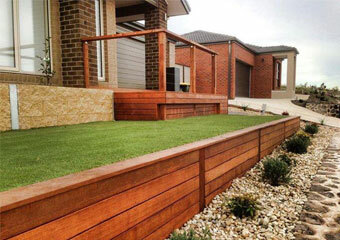 We supply and install a wide selection of artificial lawn varieties. Why Choose Mates Rates Home Solutions? 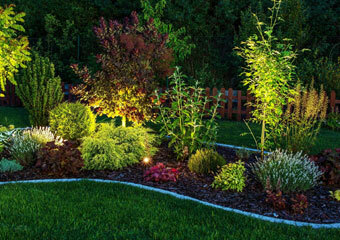 Our team will visit you, inspect the grounds, listen to your ideas and design and construct the garden of your dreams! You can trust our experience, talent and skills to deliver a project of the highest quality.